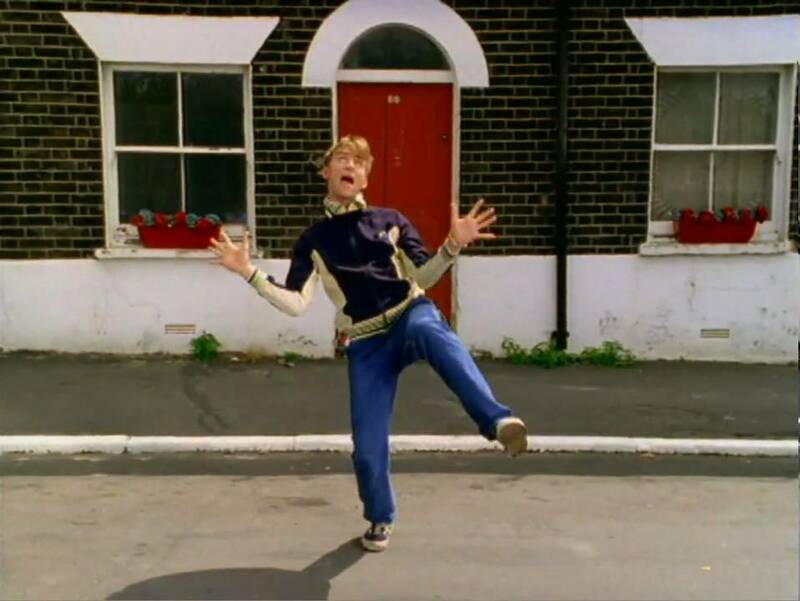 Damon Albarn, rudely awakened by the dustman. I hesitated to write about track jackets. 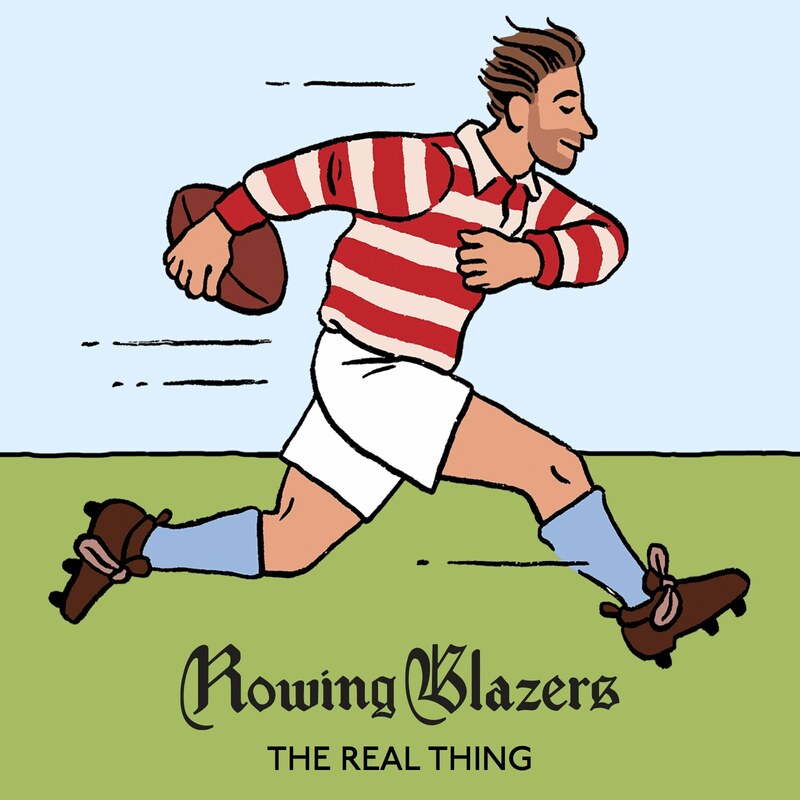 As synthetic, shapeless, valuing-comfort-over-appearance leisurewear, they’re not really in the traditional Put This On wheelhouse. 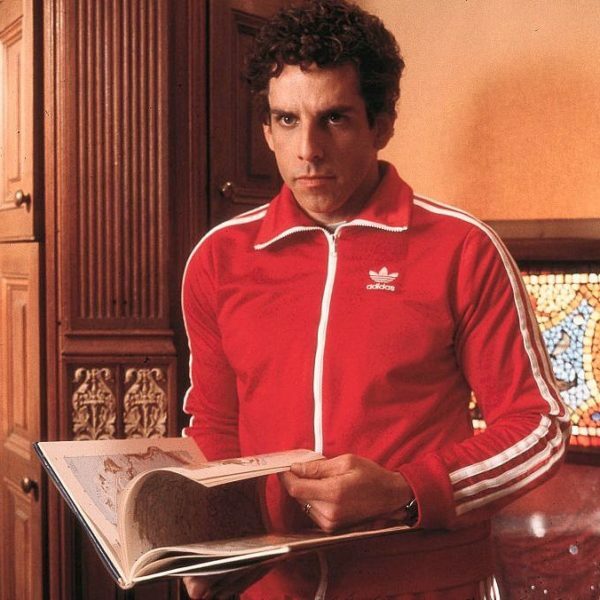 And I didn’t predict the track suit comeback of the last couple of years. 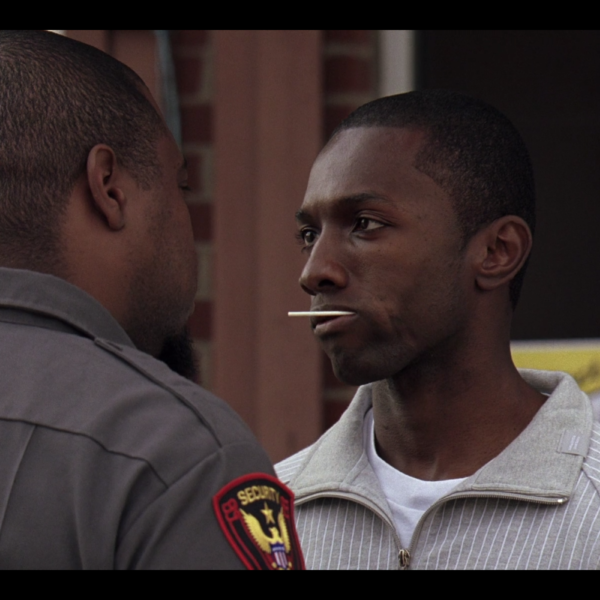 Or else I would’ve looked after the brown-and-baby-blue Fred Perry jacket I picked up in London nearly 20 years ago, which I paired with Diesel jeans to let everyone I met know I studied abroad. But I’m happy to see a resurgence in availability and acceptability recently. Stores like Barneys and Mr. Porter seem to have dozens of track jackets and suits, mostly hideous, ranging in price from under $100 to more than $1,000. It’s not all that surprising, though. Slightly more respectable than a hoodie but more relaxed than a light bomber jacket, a track jacket is a reasonable, sportswear-rooted casual layer for most guys. 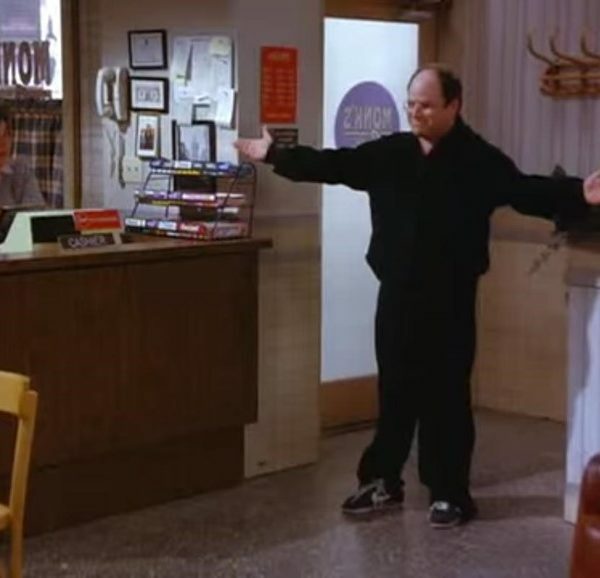 (I’m still not ready for the full velour tracksuit.) Track jackets have the advantage of being able to deliver a lot of different vibes, from actual athleticism to ironic post-athleticism, and their recent popularity may be a natural follow-on the the cozy scourge of athleisure. And it’s been coming for awhile. 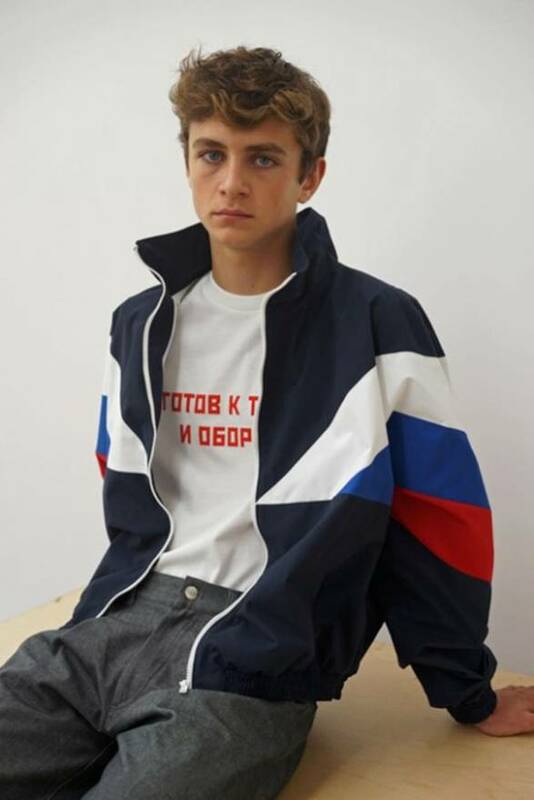 In 2016 (maybe earlier), Gosha Rubchinskiy’s interpretation of Soviet era sportswear surfaced some reference points that menswear hadn’t seen in awhile. 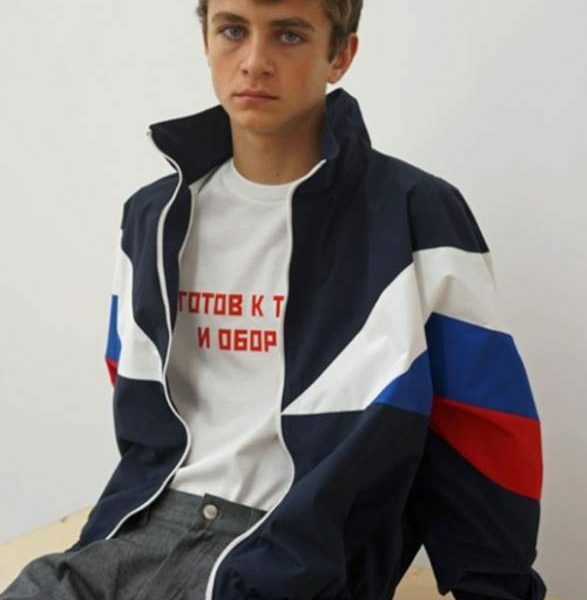 Rather than channeling retro 70s and 80s, Bjorn Borg style, Gosha’s take wasn’t sporty and bright, it was moody, even dystopian. Crinkly, Cyrillic-bedecked track tops worn in Brutalist landscapes. 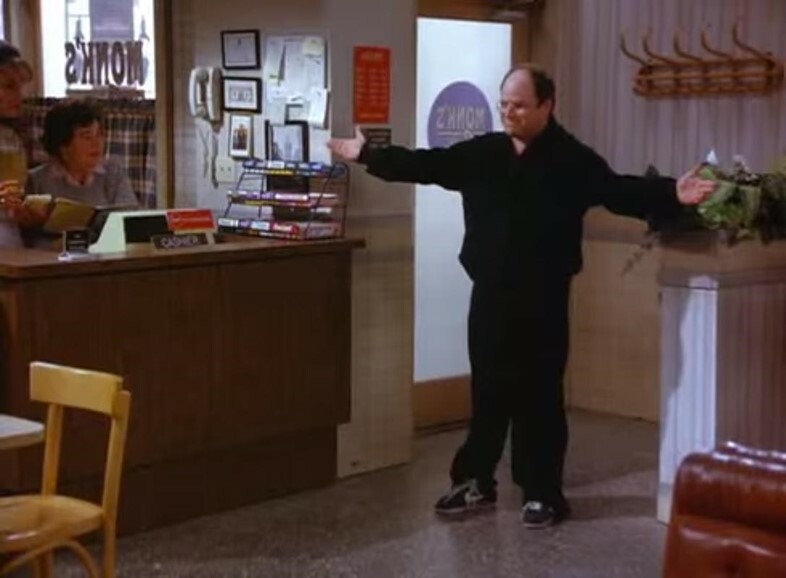 Everything is terrible, so… wear a comfortable jacket? 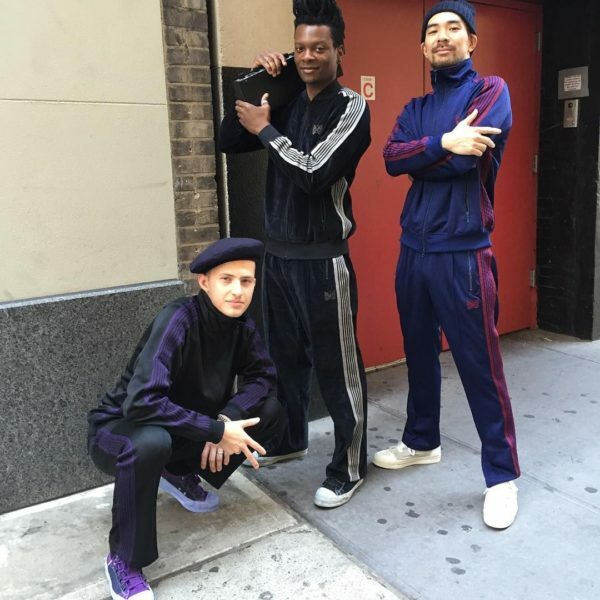 Subsequently, sporty, tracky details started showing up in other clothing — side stripes on casual pants from Acne and Engineered Garments, for example. 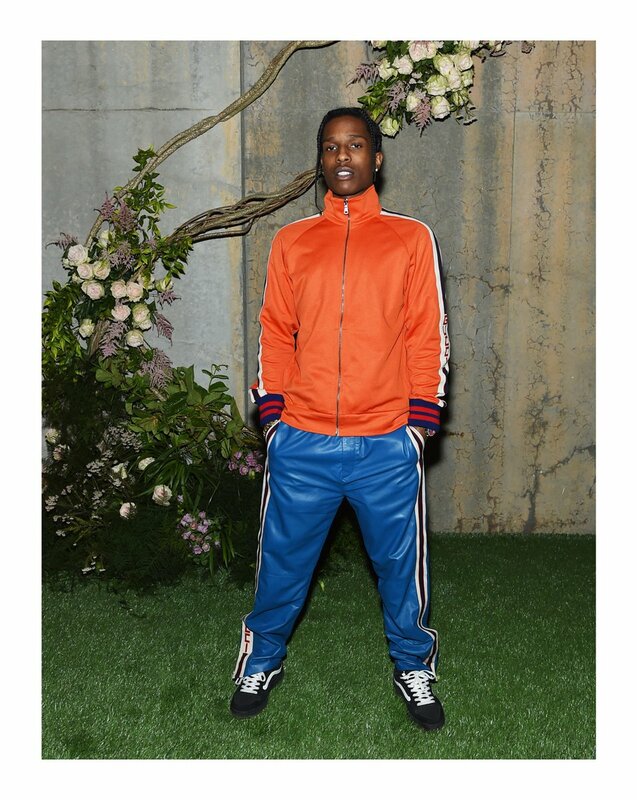 A$AP Rocky started wearing track jackets in a slightly different way than, say, Pharrell, who’s always seemed to have a primary color Adidas track suit nearby. 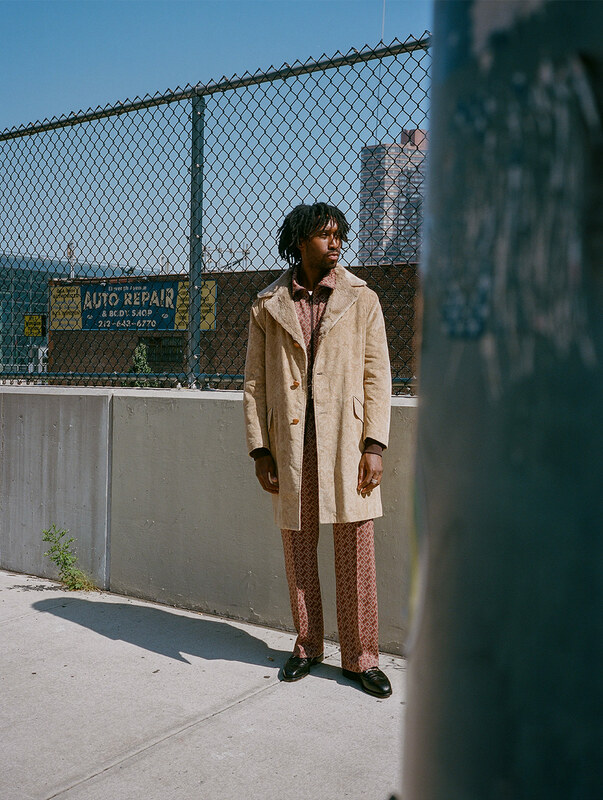 I was surprised a couple of years ago when track pants from Needles, a related brand of Engineered Garments, started showing up in eBay searches for $500 — that’s largely Rocky’s influence. 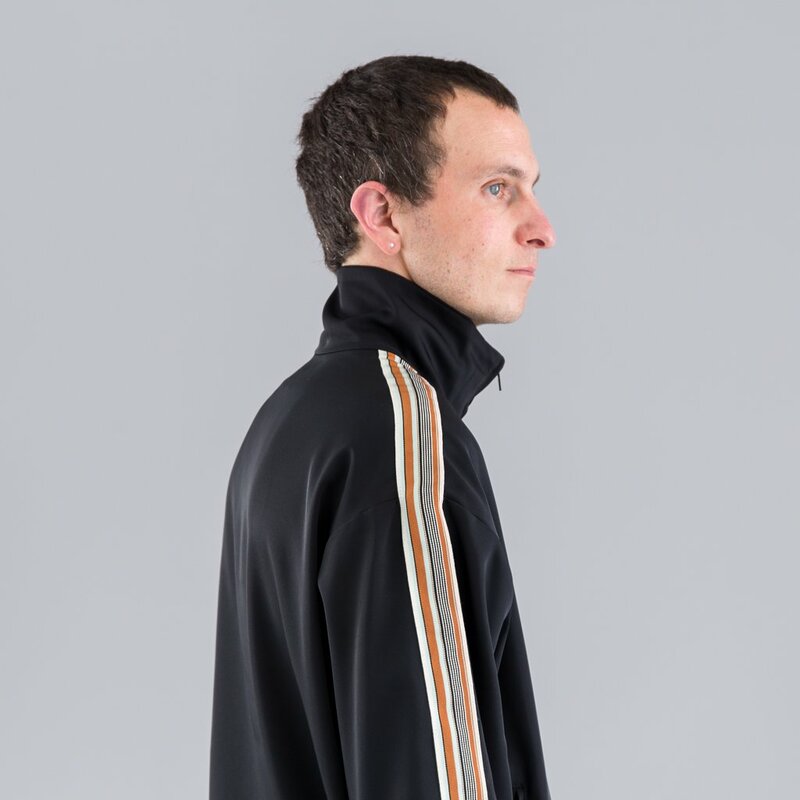 Generally, a track jacket is similar in shape to a bomber silhouette — ribbed waist and cuffs, zip front, and a collar that zips to cover the neck, or occasionally to a ribbed or shirt style collar. 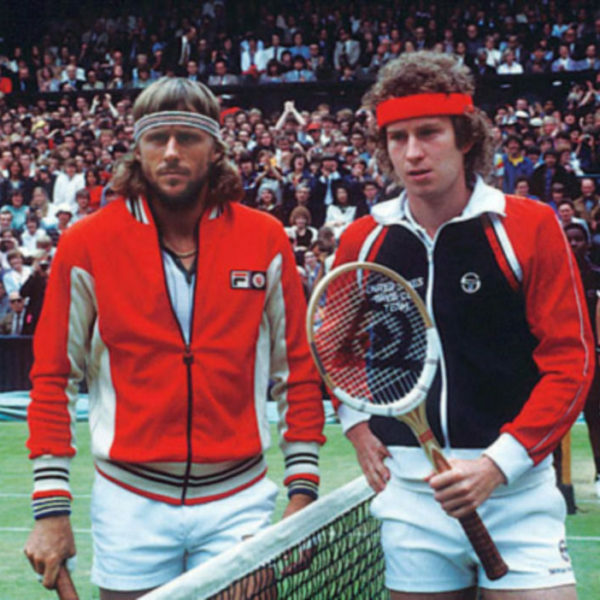 Generally knit fabric, and most often synthetic, often polyester or nylon, reflecting the 1960s and 70s, when tracksuits became common athletic and then every day wear. 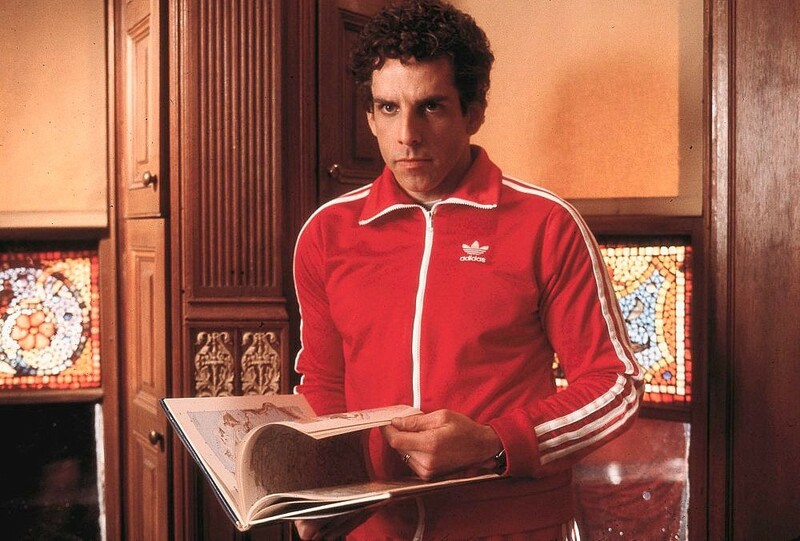 If you can wear a bomber or a varsity jacket, you can probably wear a track jacket. My main point of reference for track jackets is probably Damon Albarn, who wore them in Blur videos and during concerts in the 1990s. 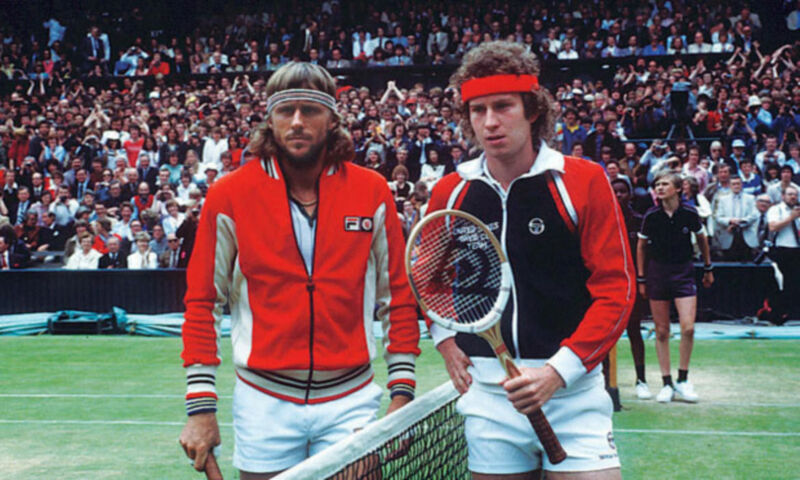 (Often they look like vintage Fila–apparently they were Slazenger.) Maybe because they were common in vintage and thrift stores at the time, they were also part of the indie/emo nerd look circa 2000, along with thick rimmed glasses and Sauconys. 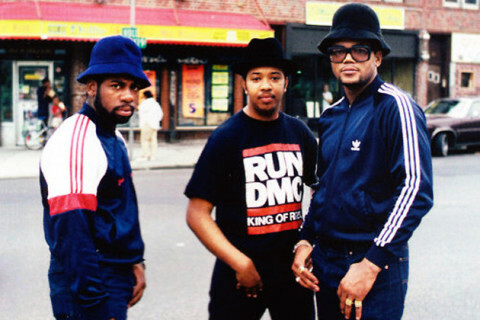 There’s the 80s b-boy association as well — athletic dancing required athletic gear. 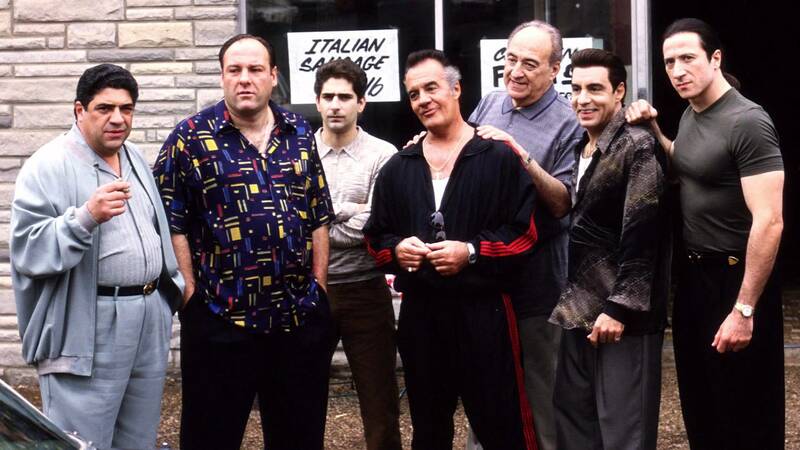 In pop culture, track suits have long connoted someone a little dangerous. If you can wear a track suit all day and you’re not an athlete, you probably don’t have a job with a dress code. 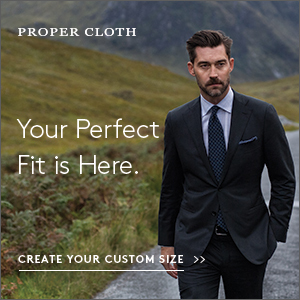 Maybe you have a less reputable job. 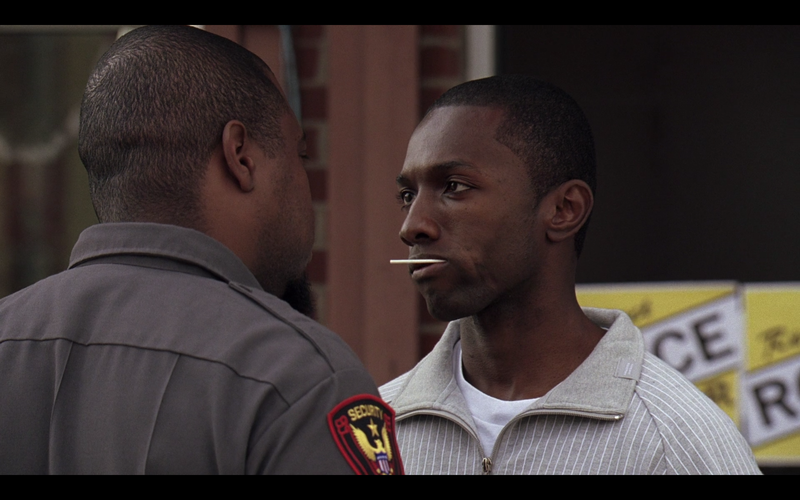 Maybe you’re a gangster, or just a run-of-the-mill hooligan. Wearing a half-zipped tracksuit to work? 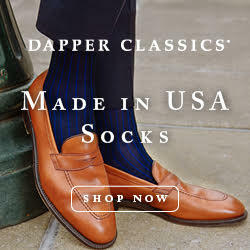 The ultimate sprezz. 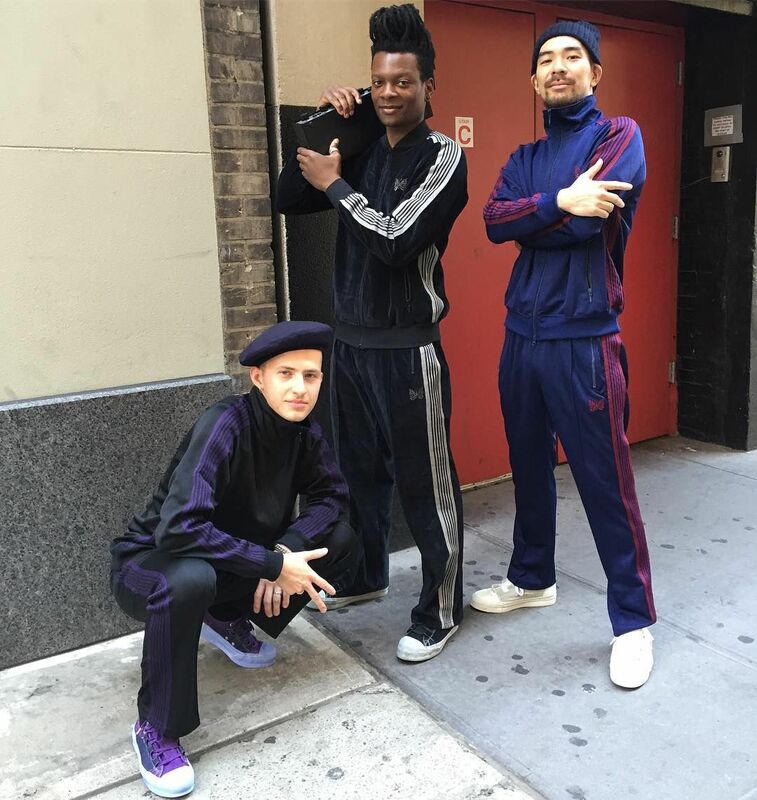 A track jacket looks best with matching pants, but that’s pretty advanced. On their own they don’t require much coordination or consideration — they can be treated like any other sportswear, like a hoodie or coach’s jacket. They rather nicely contrast with the more natural textures of denim or cotton weaves like fatigue or camp pants; in velour they have a textural profile similar to corduroy. This is counter-intuitive, but I’d hesitate, in 2018, to wear a track jacket with “joggers”–any pants that are gathered by elastic at the ankle. Maybe in reaction to the proliferation of such pants, updated track looks primarily use looser, longer pants, rather than cropped and trim. Track jackets seem like they should be cheap–they’re not sold on craftsmanship or luxury, for the most part. But you can spend as much as you like on one right now. If you haven’t owned one in awhile, here are some wearable and reasonable options, plus a few interesting, more expensive takes. For traditionalists, the Adidas Beckenbauer jacket is as straightforward as it gets ($60-$80). 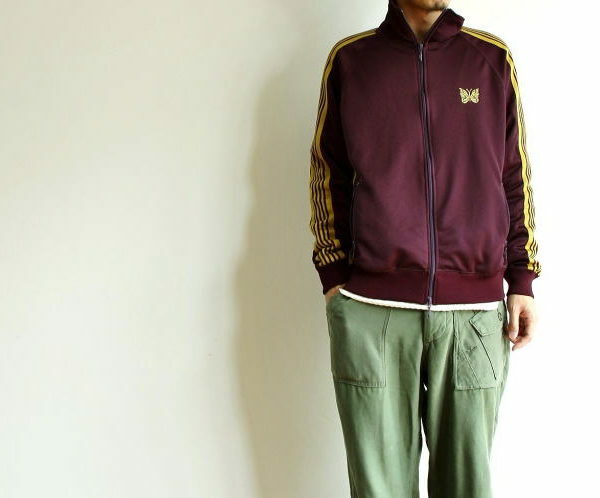 Stussy usually has a track jacket in their line–right now they have a couple in 70s tones ($125). Need Supply has a jacket in their house Need line that has colorful tape only under the arm ($150). Needles has been a big driver in making track jackets cool again, in part because of more interesting fabrications (like jacquard or patterned polyester). 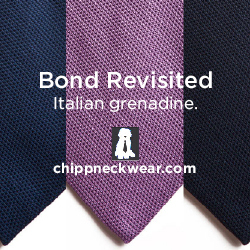 Typically they have broad, striped arm tape and a butterfly (papillon) embroidered at the chest. Retail in Japan is around $250; expect to pay more in the United States. Kapital has a typically oddball track jacket right now in a slouchy rayon blend with tropical themed embroidered sleeve taping. Naturally it’s $450. 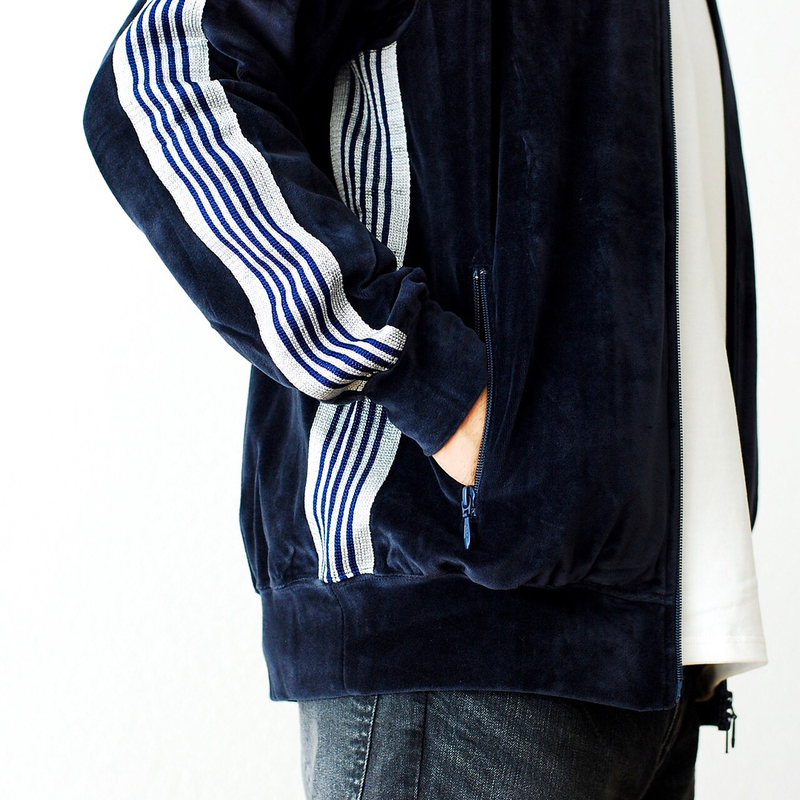 This wild suede track jacket from Scye really caught my attention last year (on sale for $850).